After being “blindsided” a few months ago when she was told one of her 2005 papers was going to be retracted, a researcher scrambled to get information about why. And when she didn’t like the answers, she took to PubPeer. Cell claims that this paper should be retracted to “correct the scientific record,” yet they are willing to jeopardize the reputations of innocent parties and disregard documented facts by refusing to set the record straight. Because of this baffling inaction by Cell, I am forced to defend my integrity against any potential backlash from the upcoming release of this retraction statement. Saint Louis University has been informed by the journal that the editors intend to retract the paper. In 2015, SLU completed an investigation of allegations of research misconduct against a SLU author of the paper, and findings were shared with the editor of Cell and study co-authors at that time. The researcher was cleared of research misconduct by SLU and DHHS. As reported to the journal editor and to co-authors in 2015, the investigation found alterations made to images in the paper were cosmetic in nature and did not affect the interpretation of the data or conclusions drawn from it. While the committee found that Dr. Skowyra did engage in image manipulation as alleged, a practice that they deemed consistent with research misconduct, they also concluded that the changes made to the images were “cosmetic” in nature and neither affected the interpretation of the data nor the conclusions drawn from the data. Why Cell decided to retract the paper more than two years after this letter remains unclear. “ATP Hydrolysis-Dependent Disassembly of the 26S Proteasome Is Part of the Catalytic Cycle” has been cited 96 times, according to Clarivate Analytics’ Web of Science. I posted my concerns because Cell is refusing to include accountability in the retraction notice when they have official documentation from SLU saying otherwise, and I cannot stand by and let my reputation and the reputations of the other innocent coauthors be treated so recklessly. When I spoke on the phone to the Cell editor a few weeks ago regarding the language they plan to use in the retraction notice, she explained that the position of Cell is that the readership will understand that any misdeeds reported in the notice are inherently the responsibility of the corresponding author. I disagree with this position, therefore I sought another avenue to voice this dissension, and found PubPeer. In multiple previous communications, we have explained to you that the nature of the data manipulation issues reaches beyond the acceptable standards held by the community. Our expectation is that the data that are provided, peer-reviewed, and published in Cell Press journals accurately represent the data obtained in the lab at the time and need to conform to community standards and expectations for rigor, accuracy and credibility. In this case, the problems with data falsification, both stamping and lane duplication, have compromised accurate communication of the original data to the reader. It is simply not possible for Cell to acknowledge this degree of manipulation as an acceptable standard, and we continue to see a retraction as the only way to correct this for the community. We had hoped to convince you that the best course of action both for the scientific community and for your coauthors would be to retract the paper in your own words. As you are not prepared to take this step, we must move forward with the editorial retraction. An investigation [at SLU] determined that data in three figures had been inappropriately manipulated. Figures 1C, 2B and 4D contain evidence of stamping, placing a cut-out section from one part of a processed image over another part of the same image. In Figure 1C, because the stamping covers bands for two regulatory complex components (Rpn12 and Rpn10) in a control condition, support is enhanced for the conclusion that complex dissociation occurs under conditions that support ATP hydrolysis. The stamping in the other panels did not obscure data. In addition to the three panels where stamping occurred, data were also falsified in Figure 2A where one of the lanes in the Western blots was duplicated… As a consequence of these manipulations, the published figures are not accurate representations of the original data. We have therefore concluded that the most appropriate course of action is to retract the paper. The authors do not agree to the Retraction. In response, the editor suggested they speak by phone. This revelation has been heartbreaking and I have been completely blindsided by this decision, as I have not been informed of the events that have led to this retraction notice. I am currently in the process of contacting SLU to get more information. As the first author, I am absolutely shocked that things have progressed to this level without my knowledge. I was informed in August 2015 by Dr. Skowyra that anonymous allegations of misconduct were made against certain figures in my paper, but I was also informed in June 2016 that SLU concluded that no misconduct had taken place. So to receive a notice of retraction nearly a year and a half after supposed vindication is baffling and distressing … Please understand that I do not take this outcome lightly as I believe my research has always been above board. I am truly devastated. … as you noted, many unnecessarily detailed and conflicting statements have been released by the University, including the statements that Cell press now proposes to misuse. This list also includes the statement that it is me who is responsible for the image manipulations, which is incorrect – the original investigation report clearly states that the manipulations were done by a person or persons unknown. I was the respondent because of my role as the senior author, not as the person who has done the image manipulations. I am responsible for letting the figures be published as they were, but so are all coauthors – each of you have approved the submission. And I took the responsibility of the respondent very seriously, which has been acknowledged in the investigation report and which you know, because I have sent several updates about the investigation. The retractions are unfortunate because we have no evidence that the underlying science was altered, but the manipulation of images, which seems to be the journal’s concern, is not in dispute. In reading this retraction notice, I would most likely be presumed the “guilty” party, since my name (i.e. Babbitt et al.) is the only one that is explicitly stated. Although I was a research technician at the time of this publication, having limited control over figure preparation, no one would know the extent of my contributions to the elements of the paper based on this notice. While I was in Dorota’s lab, I provided her the original westerns on autoradiographic film, not fully assembled, processed figures. And of course, I would not have access to any of this data now. As you all know, the stigma attached to a retraction has prolonged repercussions, and I am concerned about my name and my reputation as a scientist. This story clearly shows that retraction notes should be more informative regarding the reason for retraction and who were responsible for it. This case also send a message to the publishers that clear responsibility should be enclosed in the “contribution overview” in all published papers – figure by figure in detail! In this case they should have retracted the paper long time ago as there should be zero tolerance for falsification and manipulation. 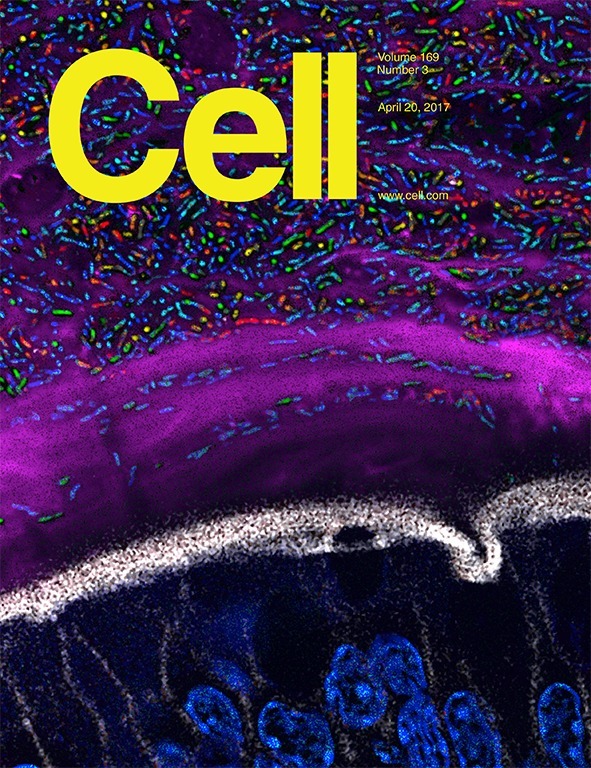 I am surprised that Cell is actually retracting a paper – that is quite unusual. I do feel sorry for the first author and the innocent people involved… However, there is a trend with “high impact research” where an article gets bigger and bigger through the addition of more authors. At some point, it’s so big, that it is possible that one co-author doesn’t really trust another one. I know this is difficult to do. Hopefully, this trend doesn’t continue because I don’t know if it’s actually good for science when one author doesn’t know what another did. The idea of simply leaving an untrustworthy or lesser contributing author off the paper is tempting, but in this case wasn’t it the PI who appears to have manipulated the data? How would you leave off the PI, or any other very senior personnel? Students, post-docs, and junior faculty have little recourse in these situations and usually suffer the greater career damage as a result. Articles like this are one of the reasons I like Retraction Watch so much. It gives much depth to the issue. In reading it, I could see both sides of the issue. However, the fact that SLU concluded the actions were “consistent with research misconduct” suggests to me that the paper should be retracted. Hence, I agree with Morty & Raymond. As much as I sympathize with the first author, I find her behavior in this process a bit naïve. If she knew of the SLU investigation into her paper in 2015, she could have or probably should have investigated these claims herself at that time, especially since she was not in charge of generating the final figures. If multiple figures were manipulated (which was evident at that time), there is good chance a Journal will decide to go through with a retraction eventually, regardless of whether misconduct can be proven or not. As for Cell, I am not sure how the retraction notice could have been handled differently. It seems the authors were given plenty of opportunities to write their own notice and refused, or couldn’t agree with each other. Maybe there is a grey zone around articles retracted by editors, where the best solution would be to retract authorship of offending co-authors, instead of retracting the full paper. This is assuming that “the [cosmetic] alterations did not affect the reported findings, or their interpretation”, as stated by the SLU committee. There are currently all to few retractions of published literature. Journals should be much more clear and offensive and practice a zero tolerance policy regarding manipulations and falsifications. I have reported numerous really grim cases of data manipulations to top cancer journals, but they usually don’t even respond. Maybe due to the cases involves several papers and it will simply be too embarrassing. One of the few journals that has begun to take responsibility is Journal of Biological Chemistry, with numerous retractions recently. But generally the scientific publishing industry is just a money machine and don’t care if they publish invalid data. I simply cannot understand why the universities and research institutes pay the ridiculously high publishing fees allowing us to publish and then pay another ridiculously high subscription fee to let us read the manipulated data. Research institutes should start publishing quality research on their own. If you want to disseminate your research for free and read at no cost, there is already this: https://www.biorxiv.org/. The issue remains that for virtually all of us scientists career outlook (grant support, promotions, salary) is intimately linked to publishing in “traditional” journals. The moment we switch to a system which judges someone’s scientific contributions on their true impact, rather than where they were published, traditional journals will disappear. As part of this process we need to come up with an incentive system which rewards reviewers for their efforts. Research institutes should start publishing quality research on their own.